Long-Term Care Insurance – Explained | Hupy and Abraham, S.C. While basic health insurance will cover routine doctor’s visits and medications, a great number of other factors is needed to ensure high quality of life for seniors not covered that long-term care insurance can assist with. This means that anybody considering outside help for elderly loved ones or themselves should seriously consider purchasing long-term care insurance. 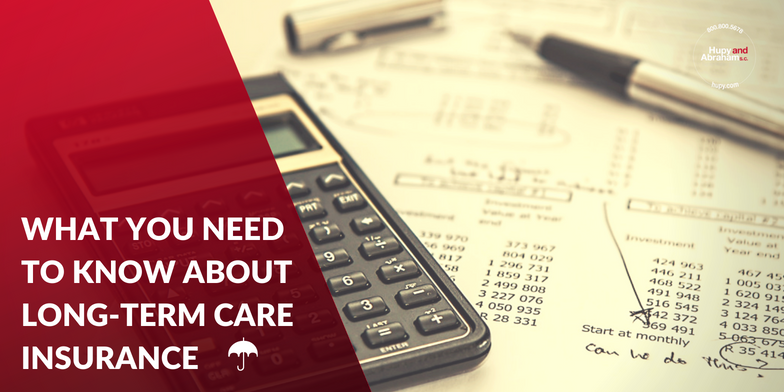 When looking into long-term care insurance, it’s imperative to select a plan that fits well with your individual needs and budget. An important factor to consider when purchasing long-term care insurance is the rising costs of senior care with currency inflation and to be sure to select inflation protection with their policy so that you will not get stuck paying larger and larger amounts out of pocket as your benefits erode with inflation. The main factor involved in qualifying for long-term care insurance is whether subjects of the plan are capable to perform activities of daily living or ADLs. In general, plans will start to pay out benefits when individuals can no longer perform two to three ADLs such as eating, bathing, dressing and so on. As we age, we very often find ourselves needing more and more help keeping up with day-to-day living. While nursing homes and assisted living programs are a great option, they are made far more attainable with the financial assistance of long-term care insurance. So, if you or a loved one will likely be needing extensive care not covered by basic health insurance, do not hesitate to purchase a long-term care insurance plan after careful consideration of your needs and budget. Finally, if you or a loved one has experienced mistreatment or nursing home neglect, the attorneys at Hupy and Abraham are standing by and ready to help make things right. Please feel free to contact us online or call us directly at 800.800.5678 to schedule your free consultation.